A VPN, or virtual private network, encrypts an Internet user’s data to prevent ISPs from seeing what they are doing. VPN services provide users with a secure gateway to the Internet. 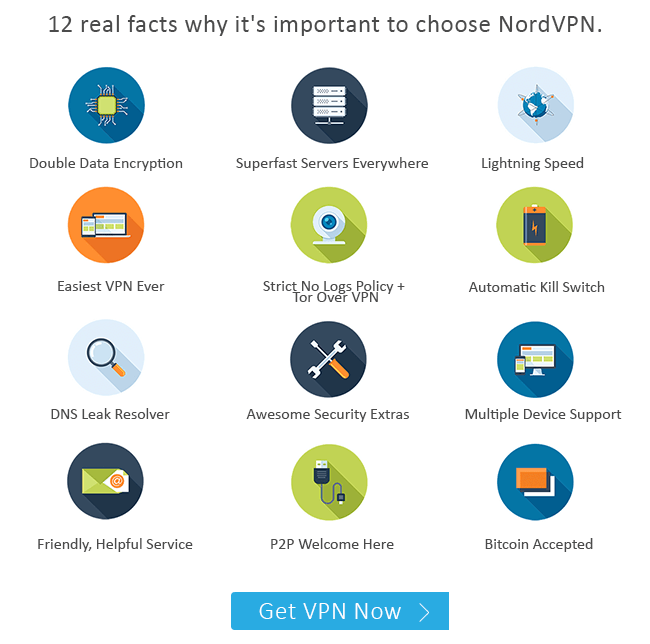 NordVPN.com is committed to providing fast, secure and affordable VPN services to customers across the globe. Customers that use NordVPN services are able to enjoy freedom and anonymity while browsing the Internet. NorVPN.com was founded in 2008 and has since grown to become one of the Internet’s leading VPN providers. The company maintains state-of-the-art servers and IP addresses in more than 32 locations across six continents. Website members are able to access all of their favorite sites with no restrictions or bandwidth limits. Guests that choose to subscribe to a membership with NordVPN.com receive military-grade online protection. The company’s unique DoubleVPN technology, which encrypts all data twice, provides users with airtight security. Customers can browse comfortably knowing that their private information is safe from snoops and cyber criminals. NordVPN.com further ensures customer privacy by never logging data to company servers. NordVPN.com software requires no installation, making it easy to set up in just seconds. Members simply download a single file and run the software before hopping online. The software supports Macs and PCs along with gaming systems, Android devices, iPhones and iPads. NordVPN.com members are able to connect up to 6 devices at a time using just a single account. NordVPN.com helps users around the world to protect themselves from data theft, privacy breaches and cyber threats both at home and in public Wi-Fi spots. Customers are also able to access websites and content that would otherwise be unavailable, such as georestricted media streaming sites. Guests that are interested in signing up for a membership with NordVPN.com can save up to 70% off by taking advantage of occasional deals and promotions. Customers that use NordVPN.com aren’t forced to sacrifice speed for security. The company’s servers and architecture facilitate speed, allowing for fast browsing. This makes it easy to surf the Internet, download files and stream media without having to worry about long download times or obnoxious buffering. NordVPN.com not only protects a user’s location and identity, but also helps members to chat privately with their friends and family. By using the website’s secure environment to communicate, customers can send messages without worrying about snooping friends, family members or colleagues. The NordVPN Secret Notes tool allows members to send emails that are automatically deleted after being read by the recipient. The website’s encrypted chat feature filers all chat messages through the NordVPN encryption system to ensure that they are safe from prying eyes. In the event that a member’s VPN connection drops out while he or she is browsing, the NordVPN.com automatic kill switch will kick into action. NordVPN will instantly shut down any website or software that a customer specifies in advance to make sure than no personal data is accidentally exposed. This extra level of protection can be especially handy in areas with spotty public Wi-Fi. To find out more, NordVPN.com guests can view some of the educational resources provided by the website. The Knowledge Base teaches visitors about what a VPN service is, how it functions, and how it benefits Internet users. Customers can also find detailed tutorials explaining how to download and use NordVPN software on different devices. For additional information about NordVPN.com, guests can check out the company blog or follow NordVPN on Facebook, Twitter, Google+ and Pinterest. A handful of NordVPN.com members have complained that they experienced frequent disconnections while using the website’s services. Failed connections can be especially inconvenient for customers that are trying to stream media. Luckily, the NordVPN automatic kill switch protects users in the event that their VPN service drops. The NordVPN.com customer support team is available 24 hours a day, 7 days a week to address customer questions and concerns. Members can reach a representative by emailing support@nordvpn.com or by submitting a support form through the website. Customers can also chat with a representative in real time by using the live chat feature. [+] Which languages does NordVPN.com support? NordVPN.com supports English, German, French, Spanish, Italian, Portuguese, Russian, Swedish, Norwegian, Turkish, Arabic and Hindi. [+] Which payment methods does NordVPN.com accept? NordVPN.com accepts most major credit cards and PayPal payments along with payments made via Webmoney, Paysera or Bitcoin. [+] Does NordVPN.com have a mobile app? Although NordVPN.com services can protect mobile devices, the website does not yet offer a mobile app. Why Should I Use NordVPN.com? 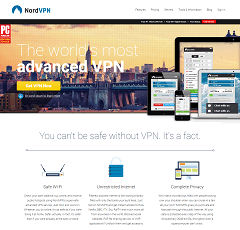 NordVPN.com helps Internet users around the world to protect their devices, data and privacy. Members are also able to browse the Internet anonymously and access all of their favorite websites without restriction. 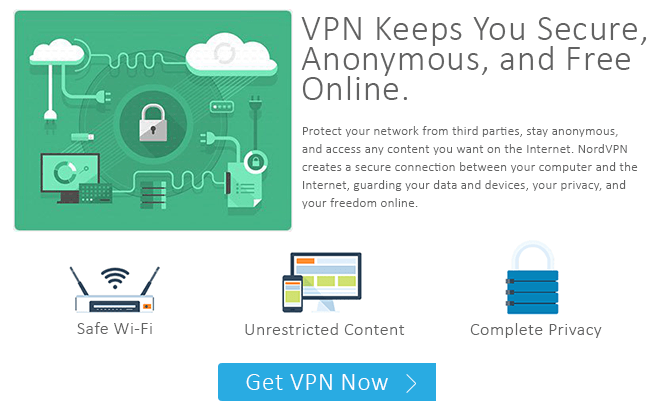 Customers can take advantage of fast, affordable VPN services for as little as $4 per month. NordVPN.com is proud to offer its members military grade protection both at home and when using public Wi-Fi networks. The company’s unique DoubleVPN technology encrypts data twice, making sure that snoops and cyber criminals can’t access sensitive information. With NordVPN.com, Internet users can avoid being the victim of credit card fraud, identity theft or other cyber crime. Members of NordVPN.com receive freedom in addition to security. By using the company’s VPN services, customers can access sites that would otherwise be unavailable. This means that members can easily view foreign content on media streaming websites such Netflix or Hulu. NordVPN.com supports a wide variety of devices, so customers can watch georestricted shows anytime, anywhere. NordVPN.com can also help customers to maintain their privacy while chatting with friends and family. The Secret Notes tool allows members to send emails that essentially self-destruct after being read. NordVPN.com also offers an encrypted chat feature that provides a secure environment in which two people can send instant messages. NordVPN.com can protect a member’s sensitive information from cyber criminals as well as snooping colleagues or household members. NordVPN.com promises to help Internet users to protect their network from third parties, to stay anonymous, and to access restricted online content. 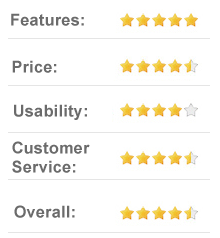 The company provides fast and affordable VPN services to customers around the globe. With NordVPN.com, Internet users can rest easy knowing that their personal data is safe and secure.